A friendly staff, dedicated to meeting your every vision health need. Each staff member is an integral part of our total team – focused on serving you. Work doesn’t feel like “WORK” when you’re passionate about what you do. Anita is grateful to be in a progressive practice where opinions matter, continuing education and self-improvement is encouraged and where we are continuously challenged. Our team genuinely cares about each other and we collectively care about our amazing patients. When Anita is not at work she enjoys laughs with her husband and three amazing daughters, going for walks, and learning to sing. She is thankful that she loves what she does and the opportunity to do it in such a beautiful community. Diane is our Lab Technician. She came to our office in 1981 with six years of retail experience and has been with us ever since. Diane was born and raised in Port Alberni and graduated from ADSS. Diane says Port Alberni was a great place to grow up and a perfect place to raise her own family. She feels there are many wonderful programs for kids and adults – it is home. Outside of work, Diane likes to read, walk, camp and just enjoy her family and friends and her beautiful grandbabies. Jaimey is our Director of First Impressions and Vision Therapist in Training. Jaimey loves the amount of shared knowledge and unity among the Valley Vision Optometry team. 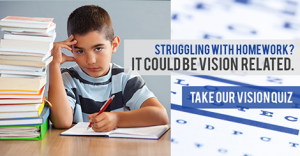 Vision Therapy immediately caught Jaimey’s attention and passion upon her initial training and she is eager to help enhance lives by maximizing and preserving vision for everyone. 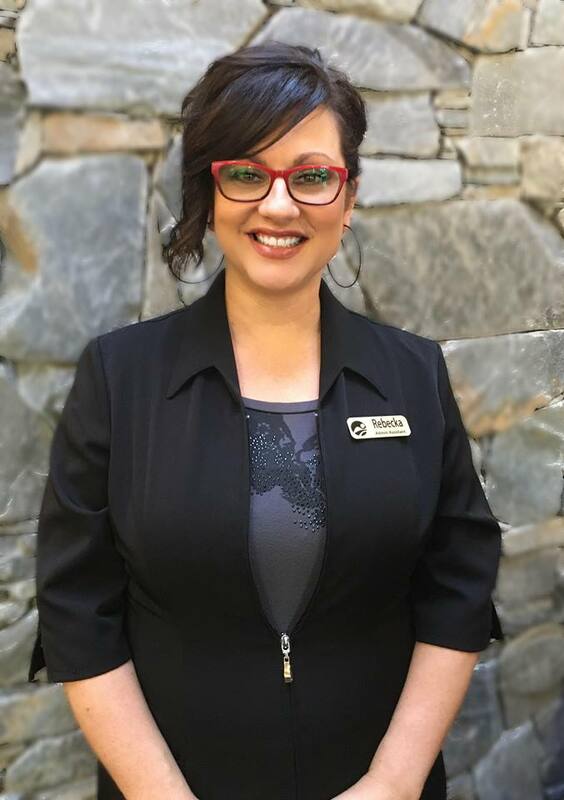 In addition, as Director of First Impressions, Jaimey is responsible for instilling Valley Vision Optometry’s mission, vision, and values before customers even walk through the door. Valley Vision Optometry has become an excellent opportunity for Jaimey to work and contribute within her local community. Her passions are learning, teaching, and working with people. As an outgoing, organized, goof-ball, Jaimey believes that every person has a story and deserves a voice. Jaimey was born in 100 Mile BC, but was raised in Port Alberni where she currently lives. She enjoys the simplicity and beauty of the island and couldn’t imagine living anywhere else. A Warm Welcome to Sidonie Ward, who is joining us as on an externship. We are a Teaching Facility and an Externship Site for The University of Waterloo School of Optometry. Sidonie grew up in White Rock, BC. In 2010 she headed east to attend the University of Waterloo, graduating in 2015 with a Bachelor of Science in Honours Biology with a specialization in animal physiology. She is currently completing her final year at the University of Waterloo School of Optometry. Prior to arriving at Valley Vision Optometry, Sidonie completed a clerkship at a hospital in Oklahoma with a focus on ocular disease. Sidonie enjoys hiking and kayaking in her spare time and is excited to explore Vancouver Island. She is looking forward to being back on the West Coast and getting to know the community of Port Alberni. She will be practicing along side Dr. Golemba, as an extern this summer and is committed to providing the best eye care experience for you. Kayla is a Canadian Certified Optometric Assistant in our office as well as a Certified Lid Hygienist. 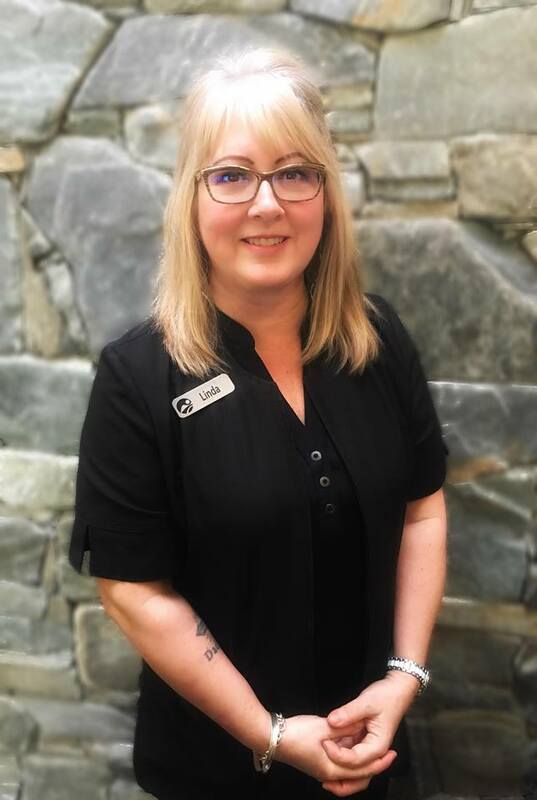 Born and raised in Port Alberni she joined our team in November 2014 but has been around the office since 1991, when her mom, Sharanne, started working here. Kayla graduated from ADSS in 2005 and took some college courses as well as Occupational First Aid Level 3 in 2006. 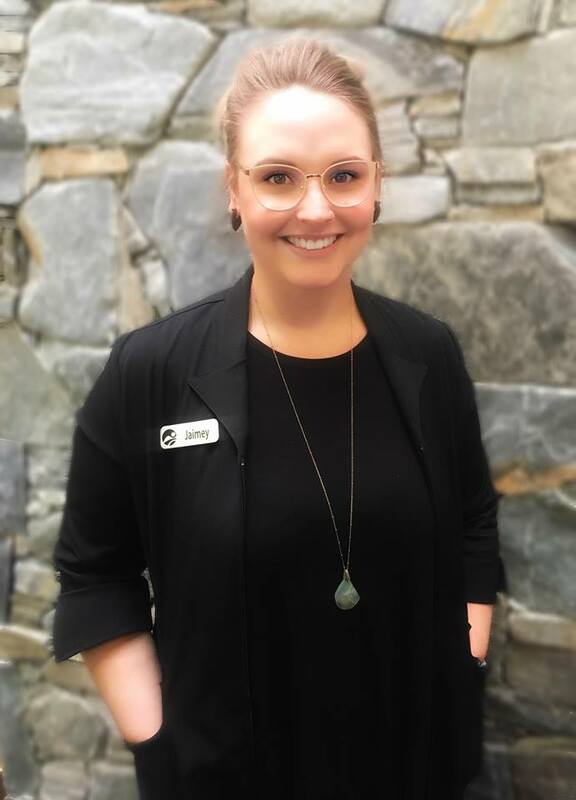 Kayla worked in the customer service industry for 8 years before moving to Airdrie Alberta where she started working in an optometry practice. Kayla worked at Browz Eyeware/Progressive Optometry for 1 year before deciding to move back home to be closer to friends and family. In her spare time, Kayla loves playing team sports with her friends, especially softball and volleyball. She also enjoys both playing and listening to music. She has played tenor sax and drums since junior high and is now teaching herself both guitar and bass guitar. Kerri grew up in Port Alberni BC, where she currently lives with her husband, son and daughter. After she graduated from Alberni District Secondary School in 2004 she moved to Chicago for two years where she worked as an Au Pair and traveled. When Kerri moved back to Port Alberni she started a career as a veterinary assistant. After 7 years working in the veterinary field Kerri felt it was time for a change and made the switch to optometry. Kerri is very excited about her new opportunities as an optometric assistant and to continue learning more about the profession. It’s so important to love where you work – she does!!! Linda joined the Valley Vision Optometry team in June 2017 and is currently enrolled in the Licensed Optician course. She loves the interaction not only with our patients, but with the amazing team she works with – there’s never a dull day, and she wouldn’t have it any other way! Rebecka is an island girl at heart. Having lived in many communities across the island she loves living in Port Alberni and raising her three fun, crazy and loving kids! Rebecka is the Administrative Assistant to the Director of Operations and brings with her 20 years of administrative experience. She loves to organize and see projects come to fruition! She loves To Dos lists! Rebecka also has a background in Esthetics and Footcare and is passionate about helping people, making them feel amazing and changing lives. Although she doesn’t work directly with the patients she is proud of the work she does behind the scenes. 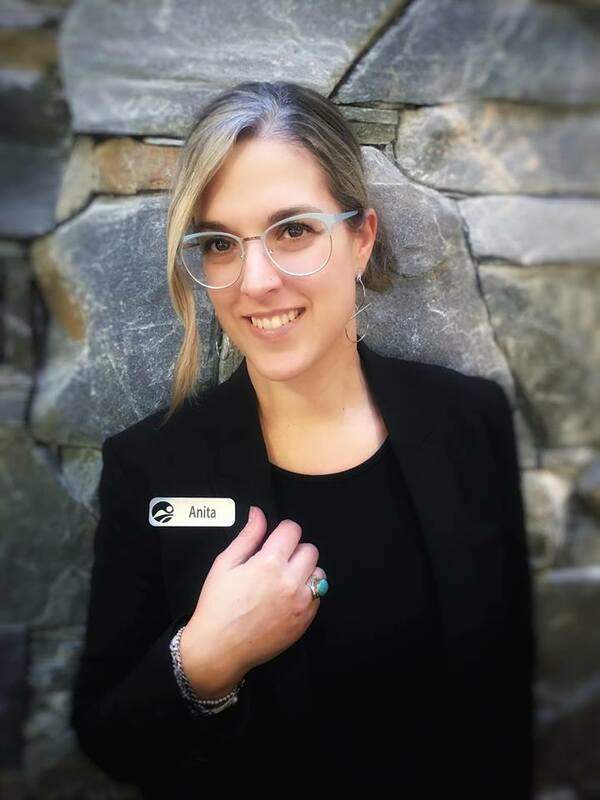 In her downtime you can find Rebecka driving her kids to all their activities, enjoying time with family and friends or cuddled on the couch with her kids watching movies and using her creativity to crochet up one of her “famous” toques. Sherry has spent most of her life in Port Alberni BC, where she currently lives with her husband, son and daughter. 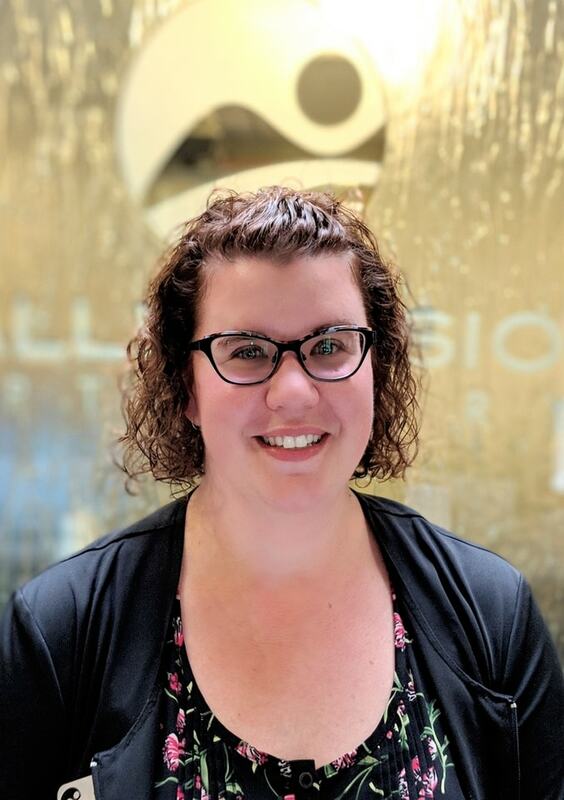 She graduated from Alberni District Secondary School in 2002 and after completing the Medical and Dental assistant certification in 2006 she decided to take on Optometry too. 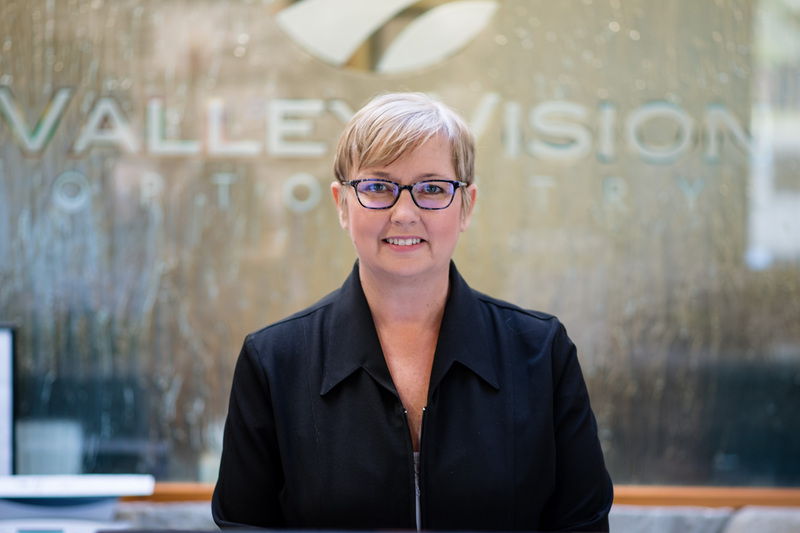 Sherry worked in an Optometry practice in Parksville for 12 years where she completed the Canadian Optometric Assistant program and grew her love of glasses. She enjoys helping people choose their next new look and having a fun at the same time. 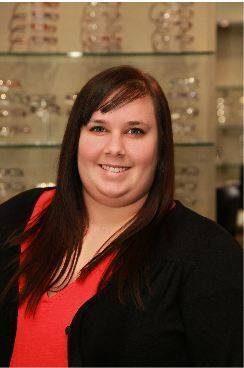 Sharanne is our Vision Therapist as well as an Optometric Assistant. She has her Canadian Certified Optometric Assistant certificate and completed the core curriculum of the Optometric Extension Program (OEP). 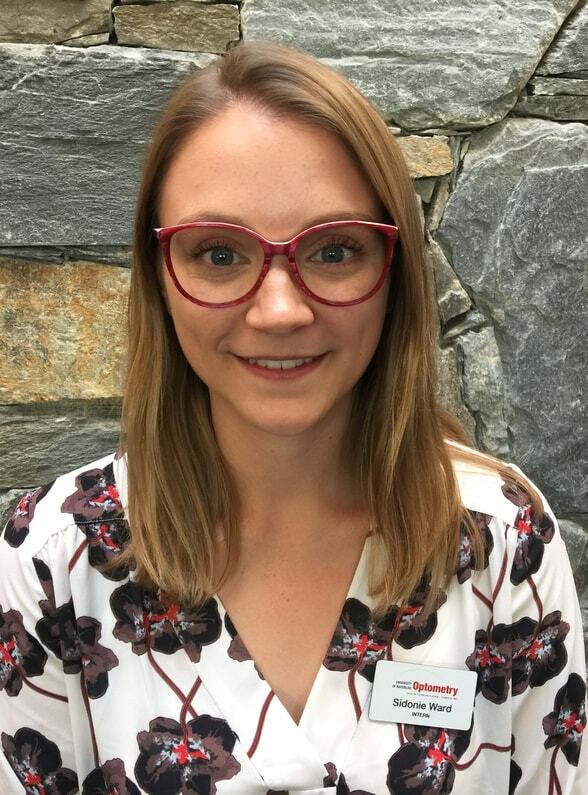 She was the first recipient of the BC Doctors of Optometry Certified Optometric Assistant of the Year for 2016. 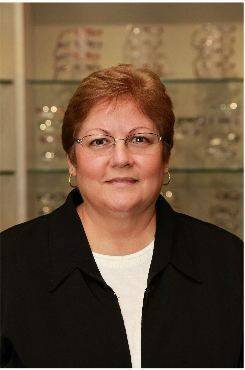 She has been with Valley Vision Optometry since 1991. Sharanne was born in Humboldt, Saskatchewan, and moved to Port Alberni in 1975. Her parents moved here to be closer to both of their families. Sharanne loves Port Alberni for the friendly people – everyone knows their neighbors and then some! Sharanne loves to golf! She is an animal lover and currently has a dog named Halo. She loves her job and the work we collectively do to improve the visual lives of the amazing people of this community and surrounding areas.